3/32 inch shank is a perfect fit for our MicroLux Micro Rotary Tool (#86694, available separately). 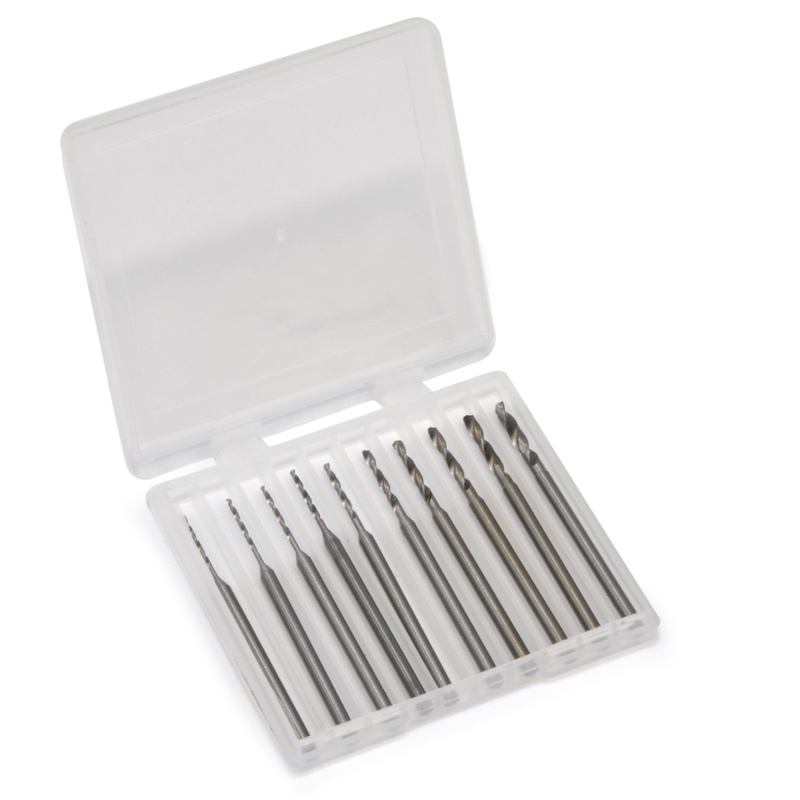 Includes 10 high speed steel bits in the following metric sizes: 0.7, 0.8, 0.9, 1.0, 1.2, 1.4, 1.6, 1.8, 2.0, 2.2 mm, plus sturdy storage box. Maximum rpm: 18,000.